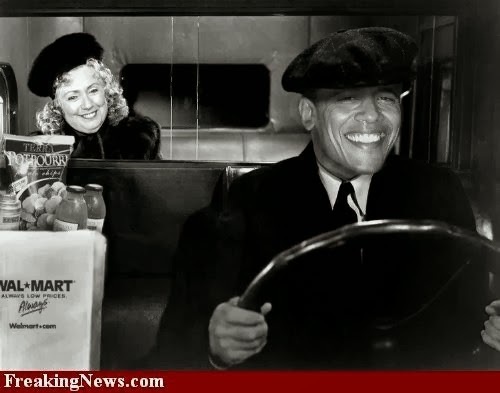 Joe Biden: "I'm an excellent driver"
Drew M at AoSHQ had this nugget of fact: Hillary Clinton has not driven in about 20 years? Drew is spot on about imaging the media reaction if a Republican candidate said that. Meanwhile the White House has to dance around this: How do you handle a problem like Joe Biden? The solution is obvious! Great image, but agreed, the Walmart bag makes it unbelievable. Does Liz drive from Buckingham to Windsor Castle? Too bad Ted Kennedy is not available. I added a caption to that image above. Thanks for the idea.